EXECUTIVE COTTAGE with SPECTACULAR OCEAN & ISLAND VIEWS! BEAUTIFUL, ELEGANT and EXCEPTIONAL! Custom designed 2 bedroom, 2 bath, single level home on approximately ½ acre with BREATHTAKING OCEAN, MULTI-ISLAND, MOUNTAIN and SUNSET VIEWS! Roomy, executive, Launiupoko cottage with superb upgrades. 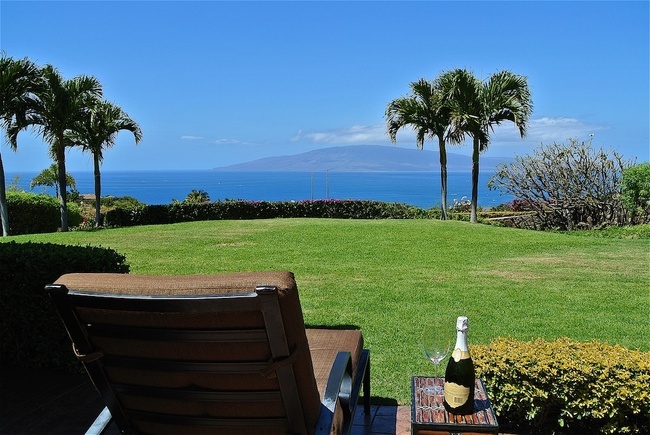 1,008 square feet of spacious interior living area, nestled on the slopes of the West Maui mountains. Open floor plan with sought after upgrades of granite counter tops, travertine floors and imperial plaster walls. Lofty ceilings with lots of glass sliders to bring light and the beautiful outdoors in. Offered turnkey with some exclusions. Extra large covered lanai for dining and entertaining. Great for star gazing and whale watching too. All surrounded by lush, tropical palms, citrus trees and banana plants. Take a splash in the custom pool on Maui's warm sunny days or warm up in the hot tub/spa on cool evenings. Pool house plus a roomy 2 car garage and agriculture room make this property an exceptional find. Launiupoko has dedicated jogging trails, hiking trails and of course a great surfing beach below. Only minutes to historic Lahaina with great shops, restaurants and entertainment. Enjoy the Maui Lifestyle here. All figures and information are approximate and not guaranteed.